I have Ed Sheeran to thank for steering me towards this album after he tweeted about it, describing it as the best release he’d heard in the last five years. If I was to use that term to describe ‘Joy Of Nothing’ it would be a (small) hyperbole, but there’s no denying that it is a staggeringly beautiful record, that embodies everything I love about music. I should start by saying that what struck me most about the record is that there’s a clear sense of passion and emotion that hangs from every note played and every lyric sung on ‘Joy Of Nothing’, and it thrives throughout the ten tracks found here. There’s a metaphorical match struck at the start of opener ‘Closed Hands, Full Of Friends’ that lights a fire that burns bigger and brighter with every passing song. Ultimately, ‘Joy Of Nothing’ has heart, and it beats in time with the drums that punctuate the opening track. 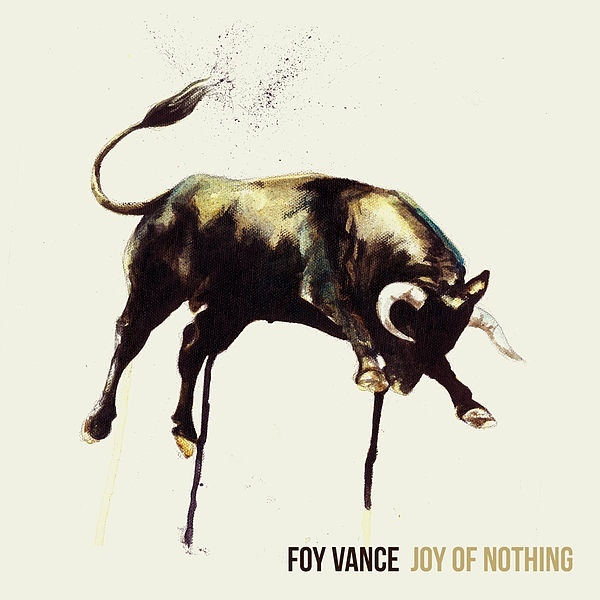 Foy Vance has released probably the best singer songwriter album I’ll be likely to hear this year, closely followed by ‘Tape Deck Heart’. It has all the key elements you’d expect of a release in the genre, and excels when conducting them. Vance’s voice is exceptional, be it soft or roaring, and there’s an honest truth conveyed in tracks like ‘At Least My Heart Was Open’ and lead single ‘Janey’. He adapts his vocals to fit the lyrics, which are some of the best I’ve heard this year. There’s a crystal clear talent for songwriting on ‘Joy Of Nothing’ and I’m surprised I hadn’t heard more about it prior to its release. Every separate aspect of the album, from the frequent orchestration to the excellent cameos from Ed Sheeran and Bonnie Raitt works perfectly. The album is never over the top or cliche but relies on its own meticulous delivery to catch a listener and hold them throughout. The production is spot on, with songs perfectly captured, often building from simplicity into emphatic crescendos before fading away as softly as they started. ‘Closed Hand, Full Of Friends’ is one of the best songs I’ve heard all year, and sets the tone well for what follows. It’s energetic and well written with a chorus that has made me smile every time I’ve heard it. The album has it’s more mellow moments such as ‘Feel For Me’, which is a powerful song, as a result of Vance’s vocal range and ability to express emotion. You ‘feel’ something when he sings, and it’s the mark of a vocalist who cares about their songs, and this ability and drive defines a lot of the songs on ‘Joy Of Nothing’. The title track begins mellow and builds to something beautiful with Vance crooning the line ‘The joy of nothing is the sweetest something and I will hold it on my heart‘ over evolving instrumentation that results in a truly uplifting song. As a whole the instrumentation is superb, rising and falling to suit the mood being emulated. The album finishes with ‘Guiding Light’, which is a rousing, more traditional song. Ed Sheeran brings a stronger hint of melody, and the two contrasting voices work very well, in a similar way to ‘You And I’ where Bonnie Raitt and Vance’s male / female vocals merge impeccably. ‘Joy Of Nothing’ is an honest emotional record, and one of the best I’ve heard this year. It’s a shame it’ll never reach the level of success it deserves amongst unintelligent chart music, because Foy Vance has released a record consisting of ‘real’ music, and it’s an experience that will better your day considerably with each listen. For long time fans of Vance, a six year wait has been entirely justified. For a new listener like myself, I’d happily wait six years for another album of this calibre.